A new device, the SMS Slingslot, allows the user to throw messages onto digital screens or projections. Text messages can be typed on a phone-sized wooden keypad, which is also integrated in the wooden slingshot. After the message is finished, the user can aim at a projection surface or screen and send/shoot the message straight to the targeted point. It will then appear as a coloured splash with the message written on it, whilst at the same time being tweeted! The Motion Capture System allows the viewer to become a 3D character in real-time, controlling every limb of the virtual character with their own. The audience can select avatars and and interact with virtual objects. A live video of the person and/or the virtual character could be displayed on large screens or can be delivered to the web or email. This idea has been around for a while but 3M have launched a new video montage demonstrating the synchronisation of animated creative across multiple OOH screens. Technically this is pretty tricky. It’s even harder if the screens are also moving up and down and spinning around but 3M have developed a solution that allows this to happen within custom OOH installations. 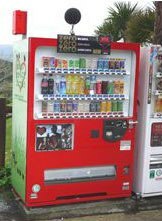 In a joint environmental project in Japan, Coca Cola has partnered with a conservation centre to measure numbers and activity of the Okinawa Rail Bird by equipping their vending machines with microphones and recording devices. 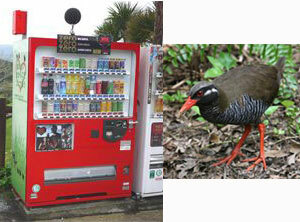 They store and isolate the noises made by the endangered species providing, vital data. A great example of CSR in the OOH space.